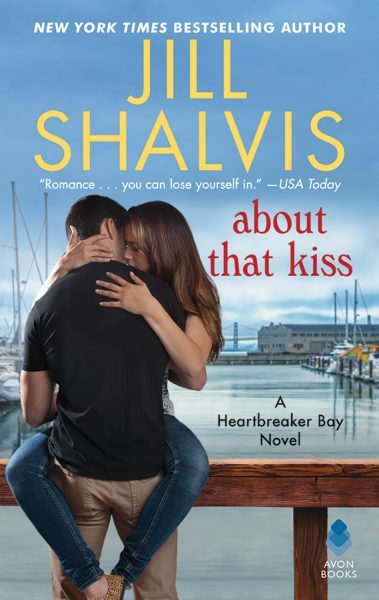 RITA Award–winning Shalvis continues her literary winning streak with the latest in her Heartbreaker Bay series, once again gifting readers with an emotionally engaging contemporary love story with a piquant sense of humor and plenty of red-hot romance. Shalvis has done it again! Her magnetic writing will hook readers within just the first few pages…will definitely put you in the mood for a fun love story on a cold winter’s night. I think there is one thing that sets Jill Shalvis apart from other romance authors. Her heroines believe in themselves. Ms. Shalvis knows how to write sigh-worthy heroes, and Joe definitely fits the bill.